Altering most of today's cities to eliminate cars altogether would be a daunting, if not impossible, proposition – which is why China is starting from scratch. Great City will be built around a high-rise core housing 80,000 people, entirely walkable, and surrounded by green space. 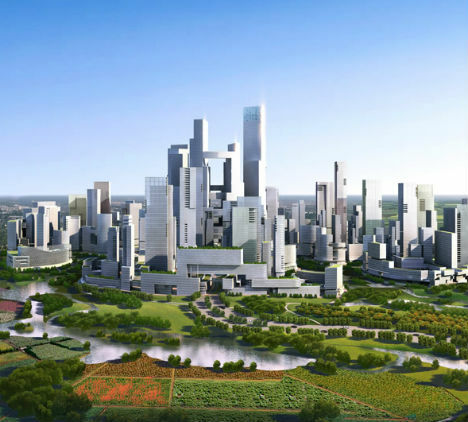 Planned for a rural area outside Chengdu, the high-density Great City will give residents access to a 'buffer area' of gardens and greenery making up 60% of the total area of the city. 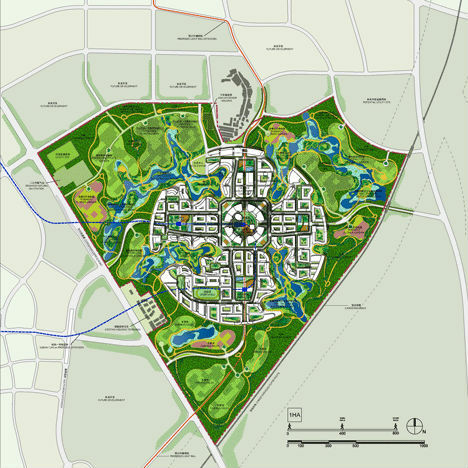 Walking from the center of the city to the green spaces takes just ten minutes, and other nearby urban centers will be accessible by a mass transit system. Chicago architecture firm Adrian Smith + Gordon Gill Architecture say the city will use 48% less energy and 58% less water than a more conventional city of the same size; it will also produce 89% less landfill waste and generate 60% less carbon dioxide. 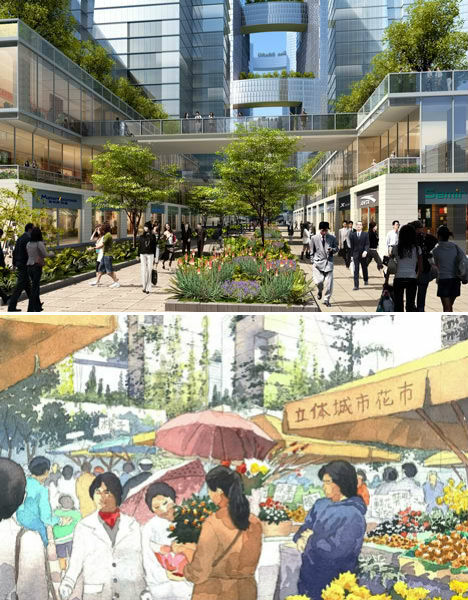 The development addresses the problem of overpopulation, pollution and urban sprawl by compacting a lot of residents into vertical housing, growing food nearby. "The design is attempting to address some of the most pressing urban issues of our time, including the need for sustainable, dense urban living at a cost people can afford," says Gill. 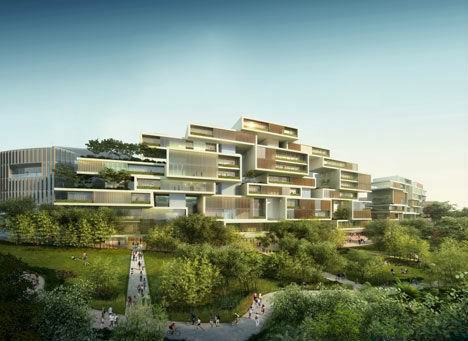 "Accordingly, we've designed this project as a dense vertical city that acknowledges and in fact embraces the surrounding landscape—a city whose residents will live in harmony with nature rather than in opposition to it. Great City will demonstrate that high-density living doesn't have to be polluted and alienated from nature. Everything within the built environment of Great City is considered to enhance the quality of life of its residents. Quite simply, it offers a great place to live, work and raise a family."